The Latest in Event Technology - Redstone Agency Inc. In the past decade, technology and innovation have been two critical elements in event planning, both contributing to successful and unique events. At Redstone, we are always looking for the latest trends in technology and how we can enhance the overall event experience. When guests leave an event, it’s the out-of-box experiences that stick with them, and in an age of digital media, creating an experience that your guests can’t get at any other event is essential. Having unique and innovative technology also encourages attendees to post to their social media accounts, giving your brand organic exposure. Having trouble thinking of new technology to incorporate into your event? Here are a few of the newest technological innovations that are seen at the latest and greatest events around the world. 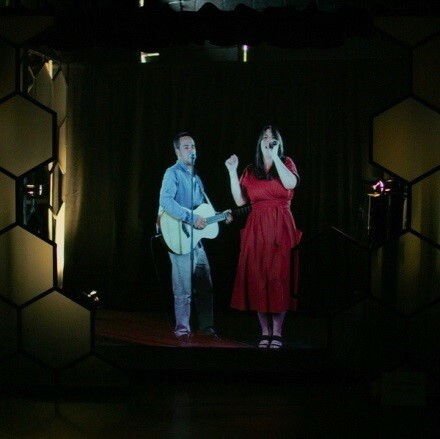 Want to transport your guests to an alternate universe or somewhere they have only been to in their dreams? With virtual reality you have the ability to be swept off your feet without event leaving your chair! 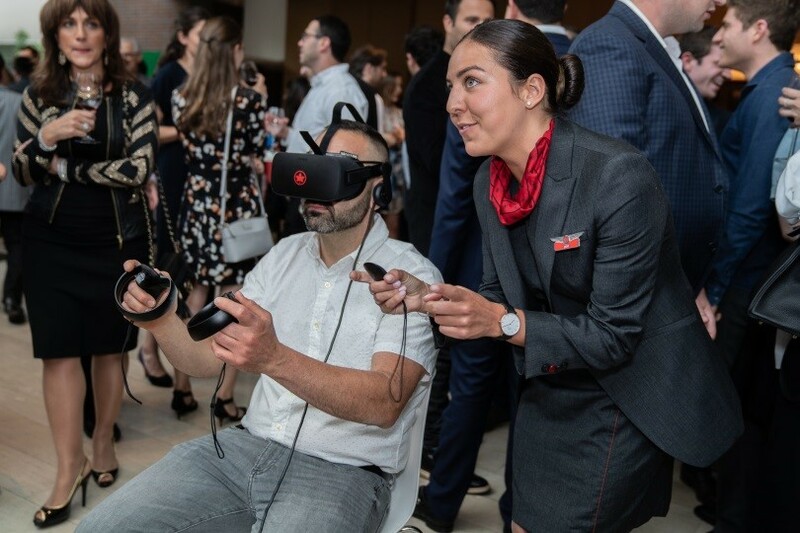 Having the virtual reality reel align with the theme of your event or the overall brand of your organization will enhance your guests’ experience. Flying well-known speakers from around the world to your event can be time consuming, risky and expensive. 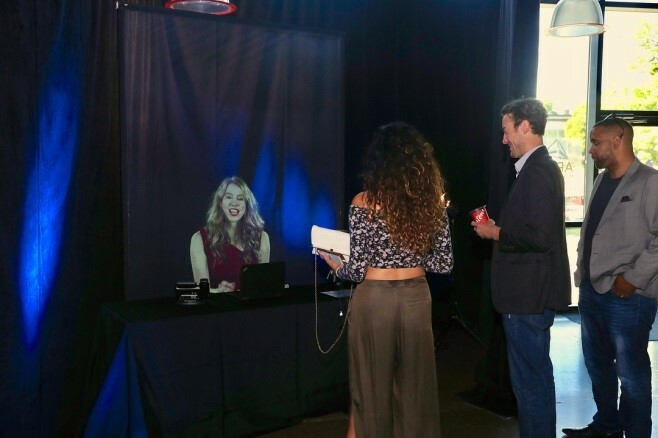 Holographic Telepresence, one of the newest technologies on the market, allows you to “teleport” someone from another country or bring someone back from the dead to speak at your event. Remember Tupac at Coachella? Make your event memorable by having an A-list celebrity at your event, without the extra effort, time and costs of flights, and accommodations. Video content– enough said. In the past decade we’ve seen videos everywhere, and this trend isn’t slowing down anytime soon. Incorporate pre-recorded and edited videos into your event presentation to keep your audience engaged. You may even consider having an emcee that isn’t physically at the event, but is showcased in between speakers or panels to introduce what’s next and keep the audience engaged. If you don’t have the time, or resources to pre-record and edit video content to play at your event, there’s always social media! Try live streaming your event or one of your main speakers on your Facebook or Instagram page to keep not only your guests engaged, but your social media followers. Have your audio visual company set up a camera and a laptop devoted to your live stream or purchase a tripod and use your smart phone. See here for some tips for flawless audio visual onsite. Earlier this year, we executed the 2018 Identity Conference in support of Egale Canada Human Rights Trust and live streamed The Right Honorable Justin Trudeau. Read more here. The trend of convenience has swept the nation, so why not make the registration process at your next event or conference easier? 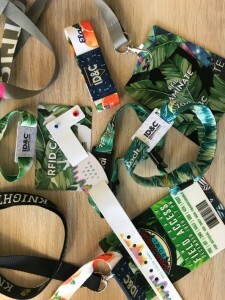 For those of you that have attended large big-name festivals like Coachella, Oshaega, or Boots & Hearts, you know the excitement of getting your RFID wrist band sent to you two (2) weeks, or as long as one (1) month before the event day. Logistically, RFID bands are the way to go! They eliminate long registration lines, and the need for printing name badges or tickets, reducing those expensive printing bills from your local printing company. They also give you the opportunity to activate your brand on all vinyl, fabric, paper or plastic wristbands or cards. 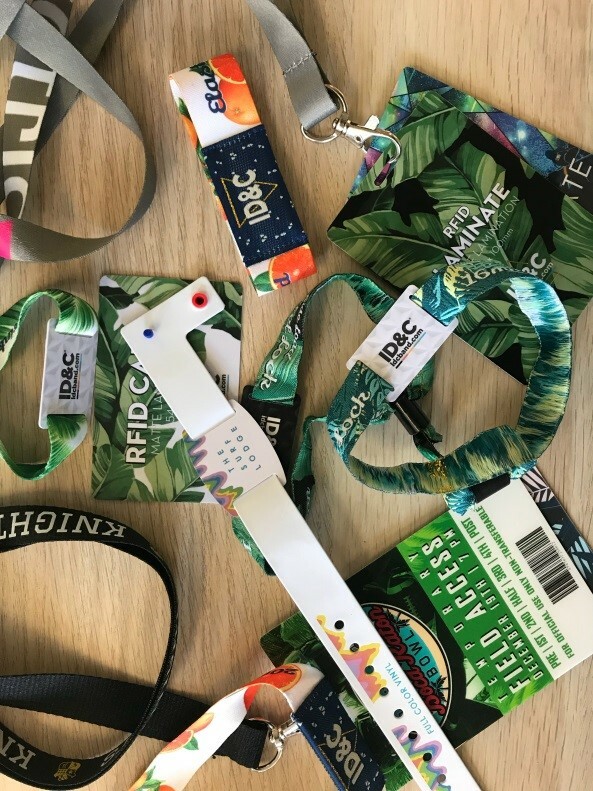 From controlling event access to cashless payments, RFID technology will help your guests focus on the content of the event or conference, rather than having to worry about carrying around a wallet (and potentially losing it), or forgetting a ticket or pass. Come check out our blog post next week for a new tech trend taking over events – Gamification. Stay tuned! Ashley Wood is the Executive Assistant to the President and CEO at Redstone Agency. She has an ability to artfully capture the attention of an audience and build creative concepts that resonate.